Jeep's introducing a plug-in hybrid option on its Compass and Renegade models. It's been a big couple of months for Jeep, a unit of Fiat Chrysler (FCAU - Get Report) . In November, the company's flagship Jeep Wrangler was named the Motor Trend SUV of the Year. Jeep also used the opportunity to capitalize on the continued momentum in SUV and truck sales by introducing the Jeep Gladiator. The automaker then took the high-end SUV concept trend to a whole new height, with the Jeep Grand Cherokee Trackhawk, which will likely beat your fancy sports car in a 0-60 match up. Now it's looking to cash in on another trend: Electrification. At the Geneva Auto Show, Jeep unveiled two new plug-in hybrid options with the Compass and Renegade models. The two models are Jeep's lowest entry point vehicles, with starting prices of $21,845 and $18,750, respectively. It's unclear what this hybrid option will cost, but it's slated for availability in early 2020. As far as specs, the vehicles will generate between 190 hp and 240 hp, while a gas engine will power the front wheels and an electric motor will power the back. On battery alone, both vehicles can drive about 31 miles per charge. No, this isn't a Tesla (TSLA - Get Report) when it comes to range or acceleration, but it's a notable step for a company that's known for making rugged off-road utility vehicles. It appears that the Renegade and Compass will then beat the Wrangler to the plug-in hybrid option, which many still expect sometime in mid-2020. However, the Wrangler is already available, with 2.0-liter I4 eTorque engine for an extra $1,000 over the standard 3.6-liter V6. While sacrificing 15 hp vs. the 285 hp in the standard engine, drivers of the 2.0-liter engine do get a significant bump in fuel efficiency. The PHEV hybrid option will seemingly give it even more efficiency when available. Given that Jeep is willing to electrify its flagship model -- and add so many comfort and convenience features -- it's no surprise that other models are receiving the option, too. Eventually, Jeep's whole line-up may be included. As costs for electrification options continue to fall, it becomes easier for automakers to offer those technologies as an option for drivers. 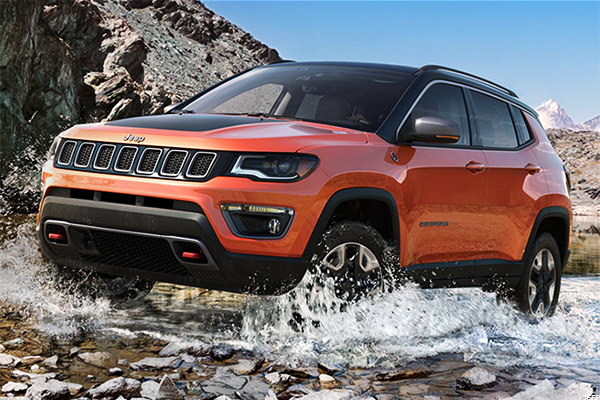 In the case of Jeep, we know after speaking with the company that its youngest buyers tend to go for the Compass and Renegade models, with pricing likely being a big factor. Efficiency and the environment also play roles in their decision-making. A Jeep may not be the most environmental-friendly vehicle, but in some parts of the country, that's a secondary concern, as driving capability is more important. Either way, with Jeep sales going strong in the U.S. and exploding in Europe -- and with Jeep's parent company being Fiat Chrysler -- these latest developments should come as little surprise.